Bob (Michael Peña) and Terry (Alexander Skarsgård) are cops in Albuquerque, New Mexico. Bob is the brains of the two-some randomly spouting trivia, something only his wife (Stephanie Sigman ) might exceed him at. They are not the most honest of cops and allow a heist to go down so they can rob the robbers, which didn't go well. Terry drives an indestructible vintage Monte Carlo, a joke that never seemed to grow old. It was not the plot, but the characters and dialogue which made the film as our dishonest cops are brutally honest in their speech as they twist lines..."If you hit a mime with your car, does he make a sound? " From the mind of John Michael McDonagh who gave us "The Guard" and "Calvary." 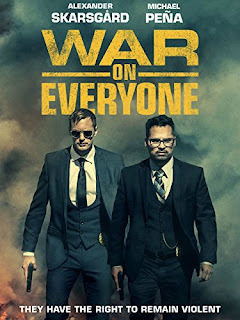 Alexander Skarsgård and Michael Peña star as two struggling, corrupt cops who are on the take, roughing up criminals and wreaking havoc through the city in this action-packed, hilarious, crime caper. 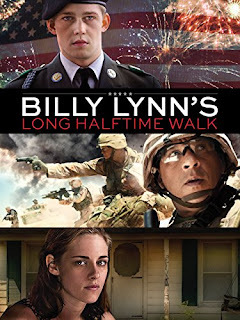 The film’s strength is how it portrays Billy’s alienation from civilian life, haunted by vivid memories of battle, unable to appreciate the applause of stadium crowds when he’s trotted out as a hero, and conflicted by the belief that he isn’t worthy of such a public spotlight. What doesn’t work is the tone of the movie, which switches from raw battle sequences to a satire of prevalent attitudes of the early 2000s. When director Lee presents a scene intended to provoke laughs, the viewer is confused. Is this what he’s supposed to do? Had the film been a straightforward war picture, like “Hacksaw Ridge,” or a satire, like “Dr.Strangelove,” the viewer might be more at ease knowing where the film is heading. Ang Lee directs the film about private Billy Lynn who is brought home for a victory tour after becoming a hero following an Iraq battle. I really was rooting for this movie to be as excellent as it looked. Unfortunately, it's just not that great. It's better than most if not all of the anthology stuff that's come out, but it doesn't really STAND above them. There isn't a reliance on jump scares, and there's only a few tropes. Unfortunately, almost none of the stories really get resolved. The sequences between the movies are really good, pretty surreal, but don't match the tone of the stories. The stories are also not connected in any way as far as I can tell, and there's nothing at the end that wraps it all together. Same Day As Theaters. Watch four deadly tales directed by four killer women in this horror anthology. Karyn Kusama (Jennifer’s Body), Roxanne Benjamin (V/H/S, Southbound), Annie Clark (St. Vincent) and Jovanka Vuckovic. 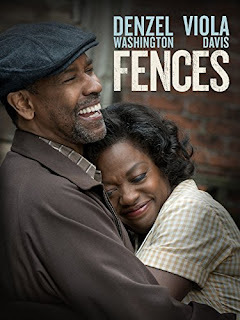 This is an adaptation to the big screen by director Denzel Washington from the play by August Wilson (also the screenwriter here). The film doesn’t open up to the expanse film offers, but maintains a contained environment of the theater. I offer this not as a criticism but an accolade as the movie maintains that attention the viewer typically has watching performances on a small stage. Washington also stars as Troy Maxson, a garbage man working in New York in the late 1950’s. He’s a WWII veteran who was too old to make it to major league baseball, as well as a victim of racial discrimination. Set in 1950s Pittsburgh, the film adaptation of August Wilson’s Pulitzer Prize-winning play takes a passionate look at former baseball player Troy Maxson as he fights to provide for those he loves in a world that threatens to push him down. Jacob Martin (Chace Crawford) discovers his father has died and has left him a considerable inheritance with a catch. 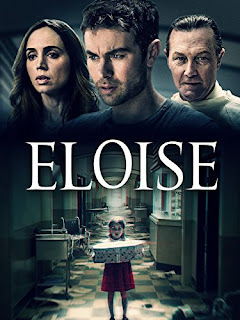 He must first prove his aunt (Nicole Forester) is dead, a person who most likely succumbed at the great fire of the Eloise Asylum. Her records are in the annex and can not be accessed without a court order which would take several months. Jacob's friend (Brandon T. Jackson) has an urgent need for money, so they opt to do a second story liberation.